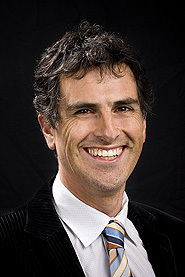 Ramon graduated from the University of Otago, Medical School, New Zealand in 1990 and completed his formal radiological studies in Auckland and the Royal Brompton Hospital in London, in 1998. His fellowship training included the Royal Brompton Hospital, London, and thoracic radiology fellowships at UCLA, USA and Vancouver General Hospital, Canada from 1999 – 2002. After Consultant Radiologist appointments at Wellington Hospital, New Zealand and Duke University/Durham VA Medical Centre, North Carolina, Ramon moved to Western Australia in 2004. He joined Perth Radiological Clinic in 2004 becoming Partner the same year and in 2005 he accepted a position as Consultant Radiologist at Sir Charles Gairdner Hospital. Feasibility of applying real time optical imaging during bronchoscopic interventions for central airway obstruction. Williamson JJ, McLaughlin RA, Phillips MJ, Curatolo A, Armstrong JJ, Maddison KL, Sheehan RE, Sampson DD, Hillman DR, Eastwood PR. Journal of Bronchology and Interventional Pulmonology (accepted for publication June 2010). RANZCR, Annual Scientific Meeting, Perth, October 2010: Interstitial Lung Disease – Review.